1. Proceed to Minaa after sunrise with talbiyah flowing from your lips. 2. Remain in Minaa and perform Zuhr, Asr, Maghrib, 'Eeshaa and Fajr of the following day. Also spend the night in Minaa. Mas'alah: It is mustahab to perform these five Salaat in Minaa. Mas'alah: There are no prescribed devotions on this day. Recite talbiyah excessively. 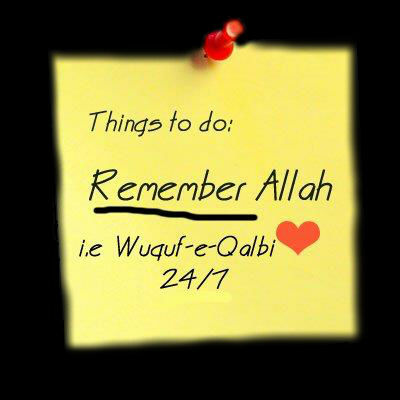 Spend every moment in ibaadah, zikr, istighfaar, tilaawat, durood shareef and learning and teaching. Mas'alah: If, when you arrive in Makkah for Hajj, the total number of days you intended to stay continuously in Makkah before 8th Zul Hijjah were 15 days or more, then you are a muqeem, i.e you will perform all the Salaat during the five days of Hajj complete. However, if you have stayed less than 15 days in Makkah, you are a musaafir and therefore you will make qasr, i.e perform two raka'at fardh of Zuhr, Asr, and 'Eeshaa unless you perform your Salaat behind a muqeem imaam. Similarly, the qurbaani of 'Eedul Adh'haa which is offered annually is also waajib upon the muqeem if he possesses the nisaab of Zakaat, but not upon the musaafir. This sacrifice of 'Eedul adh'haa can be offered anywhere and the pilgrim, before departing from home, may leave instructions to this effect. Mas'alah: The takbiraat of tashreeq should be recited from the Fajr of 9th Zul Hijjah to the Asr of 13th Zul Hijjah, even during Hajj. NOTE: Eat less whilst in Minaa. Try to remain on fruit and liquid. You will find it very helpful. "O my Angels! What is the reward of My Servant who glorified Me, praised Me, mentioned My Oneness and Greatness and sent salutations on My Prophet sallallahu alayhi wasallam? 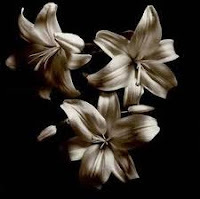 I have forgiven him and accepted his request regarding his needs and if My Servant intercedes for all who are in Arafah, I will accept it; and he may ask whatever he wishes." (Add wa 'alaynaa ma'ahum at the end of every Durood Shareef). 1. Leave for Arafaat after sunrise. On the way, recite talbiyah, du'aa, durood, zikr and takbeer in abundance. Mas'alah: To leave Minaa before sunrise is contrary to Sunnah. 2. On reaching Arafaat, make all necessary preparations before zawaal. Relieve yourself of all necessities. Mas'alah: The time for wuqoof (stay) in Arafaat starts from zawaal on 9th Zul Hijjah and ends at sub'h saadiq the following morning. 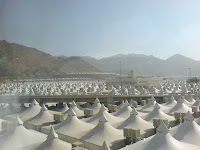 It is fardh to spend even a little portion of this time in Arafaat. 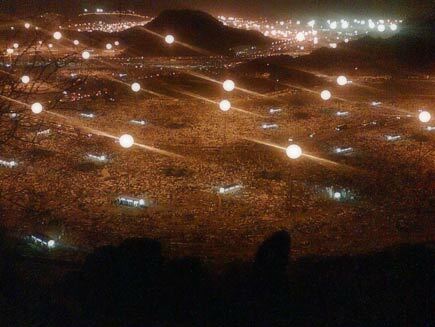 To remain in Arafaat until sunset is waajib. 3. As soon as the time for Zuhr Salaat begins, perform wudhoo. (Ghusl is more preferable if possible). 4. Perform Zuhr Salaat and engage in ibaadah. It is mustahab to read durood shareef, zikr, tasbeeh, praises of Allah, talbiyah. Earnestly make du'aa for yourself, family and friends and the whole Ummah. Do remember this humble writer, his family and all those associated with the publishing of this material. Whatever zikr you recite, read it thrice each time. 5. Perform Asr Salaat on its time and thereafter engage in ibaadah once again until sunset. (f) It is performed in congregation. If one or more of these conditions are lacking, then it is waajib to perform the two Salaat on their respective times. In our situation, this is the case when we perform out Salaat in our tents; therefore, the two Salaat will be performed separately on their respective times. 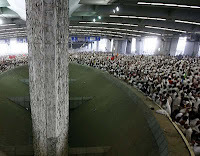 NOTE: It is not advisable to go to the Masjid in Arafaat because the plain of Arafaat is too vast and tents are identical; hence, it is possible for one to lose his way back to his tent. Similarly, do not venture out to look for Jabale Rahmat even though it is more virtuous to do wuqoof near it. Mas'alah: It is mustahab and more virtuous to engage in devotion standing, facing qiblah, with your hands raised as in du'aa. Is is also permissible to sit or even lie down. But to lie down without excuse is makrooh. If the pilgrim gets tired, he may sit down and stand up again. Mas'alah: It is bid'ah to climb Jabale Rahmat during wuqoof. Mas'alah: In between du'aa, recite talbiyah. Mas'alah: It is prohibited for men and women to stand together. Mas'alah: There is no Jumu'ah Salaat in Arafaat. Perform Zuhr Salaat, even on Friday. IMPORTANT NOTE: During wuqoof, keep yourself busy in ibaadah until the evening. Remember Allah ta'aalaa as much as possible and make du'aa sincerely crying before Him, beseeching Him and asking Him for all your lawful needs of this world and the Hereafter. Let no laxity or neglugence come near you. You may not get this opportunity again. Do not involve yourself in disputes, non sensical talks, etc. Cry, weep and ask for forgiveness for yourself, parents, family, and friends and the whole Muslim Ummah. Ask for His pleasure and Jannah and seek His refuge from His Anger and Hell. This humble writer also requests you to remember him, his family and friends and all associated with the publishing of this material in your du'aa too. 6. After sunset leave for Muzdalifah. Do not perform Maghrib Salaat in Arafaat. Mas'alah: It is not permissible to depart from Arafaat before sunset. 1. After sunset, depart for Muzdalifah reciting talbiyah, takbeer, du'aa, durood shareef, etc. NOTE: Toilet facilities are scarce in Muzdalifah, therefore it is advisable to relieve yourself before departing from Arafaat. Mas'alah: Do not perform Maghrib or 'Eeshaa in Arafaat or on the way to Muzdalifah. 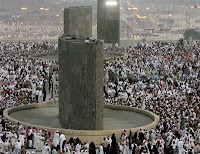 It is waajib to perform Maghrib and 'Eeshaa together in Muzdalifah at 'Eeshaa time. Mas'alah: If you arrive in Muzdalifah before the time of 'Eeshaa, do not perform Maghrib until the time of 'Eeshaa sets in. Mas'alah: If one is delayed by traffic or any other reason and is unable to reach Muzdalifah before sub'a saadiq, then he should perform the two Salaat wherever he may be before sub'h saadiq. Mas'alah: The two Salaat will be combined whether performed individually or in congregation. f. Perform sunnah of 'Eeshaa Salaat and witr waajib. 2. After Salaat, look to your other needs such as food, drink, toilet, etc. and spend the rest of the night in ibaadah. This night too, is very auspicious and full of blessings. Mas'alah: It is Sunnah Mu'akkadah to remain in Muzdalifah until sub'h saddiq, and to remain awake in tilaawat, du'aa and ibaadah is mustahab. Mas'alah: It is permissible for women to omit the wuqoof of Muzdalifah due to rush and crowd. Similar will be the case for the sick and disabled. 3. Collect pebbles (each approximately the size of a pea or a date seed) to pelt the jamaraat and put them safely in a bag. If you are going to leave Minaa after pelting the jamaraat on the 12th Zul Hijjah, you will need a total of 49 pebbles only, and if you are staying over to pelt the jamaraat on the 13th Zul Hijjah too, then you will need a total of 70 pebbles. 10th Zul Hijjah 7 pebbles. 11th Zul Hijjah 21 pebbles. 12th Zul Hijjah 21 pebbles. 13th Zul Hijjah 21 pebbles. Mas'alah: It is permissible to collect these pebbles from places other than Muzdalifah too. However, one should not pick them from near the jamaraat or unclean places. 1. Perform Fajr Salaat as soon as its time commences. Mas'alah: Wuqoof of Muzdalifah is waajib and its time begins from sub'h saadiq and ends at sunrise. If one spent even a little portion of this time in Muzdalifah, he will be absolved of this obligation. However, it is better to remain until just before sunrise. Mas'alah: If one left Muzdalifah before sub'h saadiq or arrived into Muzdalifah after sunrise, he will not be absolved of this obligation. Mas'alah: There is no 'Eed Salaat upon the pilgrims. NOTE: IT is important to note the time of Fajr Salaat in Makkah the day you leave for Minaa. This is the time for Fajr Salaat in Muzdalifah too. Many people in their ignorance perform Fajr Salaat in Muzdalifah before its time and leave immediately for Minaa before sub'h saadiq. In this manner, they miss the wuqoof of Muzdalifah which brings upon them the liability of dam. Remember! Follow your own time and do not be persuaded by anyone to leave Muzdalifah before Fajr time. 2. If possible, remain engaged in ibaadah in Muzdalifah until just before sunrise. Stand facing the qiblah and engage in reciting talbiyah, tasbeeh, and making du'aa. 1. 2-3 minutes before sunrise, leave for Minaa with talbiyah, zikr, etc on your lips. NOTE: All these will be dealt with seperately in subsequent posts. IMPORTANT NOTE: For those performing Hajj Qiran or Hajj Tamattu', to perform a, b, and c in their respective order is waajib. Failure will result in dam. Do not shave or sacrifice the animal before pelting and do not shave before sacrificing the animal. First ramee (pelting), then nahr (animal sacrifice) and finally halaq (shaving). 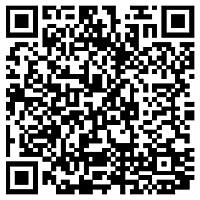 Memorise the code-word "PASS", i.e. NOTE: If sacrifice is arranged through an agent, either an individual or an organisation, the pilgrim should fix a time and make sure it is sacrificed at the given time. If it has not been sacrificed at the appointed time, and he gets his head shaved, dam will become incumbent on him. Mas'alah: For those performing Hajj Ifraad, nahr (animal sacrifice) is not waajib. It is mustahab. Therefore, they can have their heads shaved as soon as they have completed the ramee (pelting). If they wish to fulfil the mustahab act of nahr, they are at liberty to do so before or after shaving. However, it is mustahab to follow the sequence, for them too. The only ritual to be performed today is ramee which is waajib. You will throw seven pebbles seperately at each of the three jamaraat known as the small Shaytaan, middle Shaytaan and large Shaytaan. Mas'alah: It is sunnah to do ramee of the jamaraat in order. First pelt the small Shaytaan, then the middle Shaytaan and lastly the large Shaytaan. Mas'alah: It is not permissable to pelt the jamaraat before zawaal on the 11th and 12th Zul Hijjah. It will be invalid and unacceptable. 1. Come to the small Shaytaan i.e. the one nearest to Masjide Khayf, and stand approximately two and a half yards or more away from it. 2. Throw seven pebbles, one at a time, with the index finger and the thumb of thr right hand reciting bismillaahi allaahu akbar each time. 3. After throwing the seven pebbles, move a little to the side and facing qiblah make du'aa with your hands raised. Praise and glorify Allah ta'aalaa, read durood shareef and make du'aa for at least the duration of reciting 20 verses from the Qur'aan. 4. Come to the middle Shaytaan and follow the same method explained above in nos, 1, 2 and 3. 5. Now walk to the large Shaytaan and throw seven pebbles, but do not make du'aa after it. Mas'alah: The du'aa is masnoon, only after the ramee of the small and the middle Shaytaan. 6. Return to your camp and spend the night in Minaa. Follow the same procedure mentioned in Fourth Day - 11th Zul Hijjah. Pelting before zawaal on this day too is not permissible. Mas'alah: If one cannot leave Minaa before sunset, then it is makrooh to leave without ramee (pelting) of the following day, i.e. 13th Zul Hijjah. It is not waajib to pelt the jamaraat the following day in this case, nor is it impermissible to leave Minaa. Mas'alah: If one did not leave Minaa before sub'h saadiq the following morning, i.e. the morning of 13th Zul Hijjah, then it is waajib to perform the ramee of that day. Failure will result in dam. IMPORTANT NOTE: It is commonly known amongst people that one must leave Minaa before sunset on the 12th Zul Hijjah, otherwise the ramee of the following day will become waajib. This is not so. 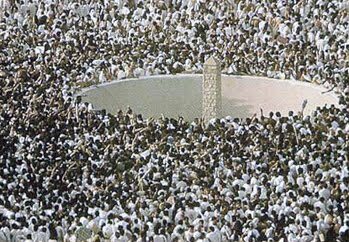 The ramee of the following day will only become waajib if one delayed his stay in Minaa until sub'h saadiq (dawn) of 13th Zul Hijjah. 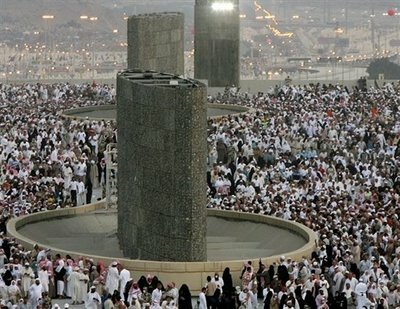 Many pilgrims, due to this misunderstanding, try to leave Minaa before sunset and in their endeavour, they either pelt the jamaraat before zawaal (which is invalid altogether) or they wait standing in the scorching heat from as early as 10.00am, so that they can pelt as soon as it is zawaal and leave Minaa before sunset. In this way, they bear great hardships and put themselves in great danger too, especially their weak ones. They become the cause of harming themselves as well as other Muslim brothers which is haraam. It is not an easy task to pelt the Shaytaan in the midst of a crowd of hundreds of thousands of pilgrims. Please practice patience and fulfil this obligation, preferably after Asr. If need be, you may delay your ramee until after Maghrib. As long as you leave Minaa before sub'h saadiq, it is fine. NOTE: Many people, on their way back to Makkah are held up in traffic jam and do not perform Maghrib Salaat. Take care and perform Maghrib wherever you are and also 'Eeshaa once you have returned to Makkah. The ramee of 13th Zul Hijjah is not waajib. However, it is more virtuous and of greater merit to pelt all the three Shaytaan on 13th Zul Hijjah too. If you have decided to pelt the Shaytaan on the 13th too, then follow the same procedure mentioned in Fourth Day - 11th Zul Hijjah. Mas'alah: For those pilgrims who have remained in Minaa until sub'h saadiq of 13th Zul Hijjah, to perform ramee on this day is waajib too. Alhamdulillah, all the rites of Hajj are now complete. May Almighty Allah accept your Hajj and shower His blessings on you and your family. Aameen. Today (i.e. 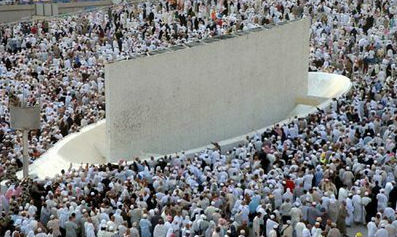 10th Zul Hijjah) you will throw seven pebbles at only the jamarah known as the Jamaratul Uqbaa or large Shaytaan. NOTE: There are three pillars near the main Masjid of Minaa - Masjide Khayf - which are commonly known to people as Shaytaans or jamaraat. The one nearest to Masjide Khayf is the small one and the one furthest is the largest. Mas'alah: Ramee is waajib. Failure will result in dam. Mas'alah: It is bid'ah (innovation) to pelt the other two jamarah viz. middle Shaytaan and the small Shaytaan on 10th Zul Hijjah. Mas'alah:For women, sick and disabled fearing the crowds, no time is makrooh. In fact, for women the time of night is more virtuous and better for ramee. IMPORTANT NOTE: If possible, one should endeavor to pelt the jamarah in the masnoon or at least the mubaah time. However, experience shows that in this day and age when millions of people come to perform Hajj, it is very difficult to fulfil this obligation in its masnoon time without causing harm to one's self and other Muslims. In fact, sometimes, one has to put his health and life into danger. Therefore, it is advised that ramee is done before Maghrib in mubaah time. If one finds that the crowd of people is very large at this time too, then the women and sick can wait safely on one side whilst the men and healthy complete their obligation and then the women and sick can do their ramee after Maghrib, 'Eeshaa or whenever convenient before sub'h saadiq. 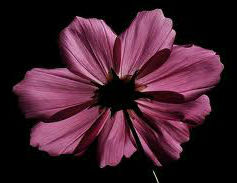 Many men in their zeal to follow the masnoon time take with them women, weak and disabled and face great difficulty. Avoid this! Precaution is better than cure and regret. If need be, the healthy men may also delay the ramee until after Maghrib. Remember! Harming a Muslim is haraam and doing ramee after Maghrib is makrooh. 1. Come to the large Shaytaan and stand approximately two and a half yards or more, away from it in such a way that Masjide Khayf is to your right and Makkah is to your left. 2. Throw seven pebbles, one at a time, with the index finger and thumb of the right hand reciting bismillaahi allaahu akbar each time. Mas'alah: With the throwing of the first pebble, stop reciting talbiyah. You may continue other zikr, tasbeeh, etc. besides talbiyah. Mas'ala: If all seven pebbles are thrown together, it will be counted as one pebble only. Mas'alah: If the pebbles fall near the pillar, and not on it, the ramee will be rendered valid; but if it falls far from the pillar, (i.e. out of the wall surrounding the pillar) the ramee will be rendered invalid. Mas'alah: This method of pelting is mustahab. It is permissable to pelt from whichever direction you desire. Mas'alah:When throwing the pebbles, raise your hand so high that your armpit becomes visible. Mas'alah: There is no du'aa after pelting the large Shaytaan. 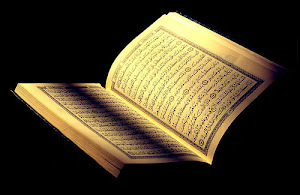 Very Important Mas'alah: One who is able to walk to the jamaraat or reach the jamaraat by transport, wheel, chair, etc. and there is no fear of harm or increase in the illness, it is necessary for him/her to pelt the Shaytaan. It is not permissable for him/her to appoint a proxy to pelt on his/her behalf, with his/her instruction. Many people pelt on behalf of others without valid Shar'ee excuse. In such cases, the ramee is invalid and a dam becomes waajib. The women or the weak ones should have no fear. Go after 'Eeshaa Salaat and you will find the way clear. Mas'alah: Rush is not a Shar'ee excuse to appoint a proxy for pelting. 1. After completing the ramee, sacrifice an animal. Mas'alah: The sacrifice is known as dame shukr and is waajib upon those performing Hajj Qiran and Hajj Tamattu' and mustahab for those performing Hajj Ifraad. Read IMPORTANT NOTE under TO MINAA. NOTE: Do not confuse yourself between dame shukr and annual qurbaani of 'Eedul Adh'haa. Dame shukr is only waajib upon those performing Hajj Qiraan or Hajj Tammatu', whereas qurbaani is waajib annually upon every Muslim who is sane, baaligh and upon whom Zakaat is binding and who is not a musaafir (Shar'ee traveller). NOTE: To find out whether the annual quarbaani of 'Eedul Adh'haa is waajib upon you or not, read the last mas'alah under FIRST DAY. Mas'alah: Those performing Hajj Qiraan and Hajj Tamattu' must form niyyah (intention) that the sacrifice is for Hajj Qiraan or Hajj Tamattu'; otherwise the sacrifice will not be valid. Mas'alah: It is more virtuous to slaughter the animal yourself. If you are unable to do so, then it is mustahab to witness the slaughtering. 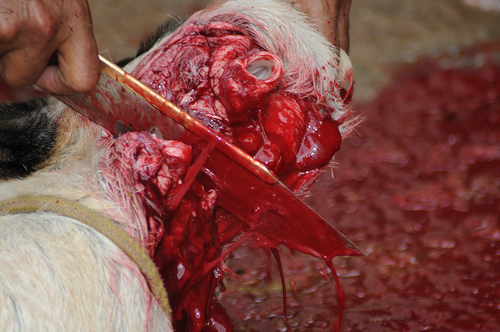 It is also mustahab to eat, at least a little, from the slaughtered animal's meat. One can sacrifice the animal any time after ramee until the sunset of 12th Zul Hijjah. However, those performing Hajj Qiraan and Hajj Tamattu' will not be able to shave their heads until the sacrifice is completed. 1. Now shave or trim your hair. Sit facing the qiblah and start from the right hand side. Women will trim slightly more than an inch from the end of their plaits. It is haraam for them to shave their heads. Mas'alah: Shaving is more virtuous than trimming. The Prophet sallallahu alayhi wasallam is reported to have made du'aa thrice for those who shaved and only once for those who trimmed their hair. Mas'alah: It is waajib to shave or trim a quarter of your head to come out of ihraam and to shave or trim the whole head is Sunnah. 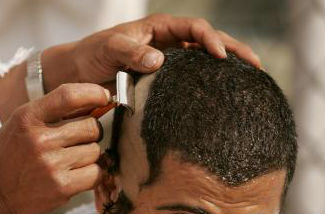 However, to shave or trim only a quarter of the head is makroohe tahreemee (prohibited). Mas'alah: The term qasr (trim) means to clip at least one inch of each hair. If the size of the hair are smaller than an inch, then shaving will be waajib. IMPORTANT NOTE: Halaq or qasr in the manner mentioned above is waajib. One will remain under the restrictions of ihraam until he fulfils this obligation. Many people only clip a few hair here and there and think that their ihraam has ended. Remember! A person will remain in ihraam as long as he does not shave or trim in the manner explained above and all the restrictions of ihraam will remain upon him. If he changed into normal clothing, etc. he could be liable to give dam. Mas'alah: If the pilgrim has completed all the rites of Hajj which he had to perform before halaq, then he can himself shave his head. He can also shave another Muslims hair. 2. Now all the restrictions of ihraam have ended except for the sexual relationship. This will be lifted as soon as one has performed tawaafe ziyaarat. 1. Now proceed to Makkah and perform tawaafe ziyaarat which is fardh in Hajj. After performing tawaafe ziyaarat the restriction on sexual relationship will be lifted too. Hajj (by those performing Hajj Tamattu') then you need not repeat the sa'ee again and the tawaaf will be performed without ramal and idhtibaa. However, if sa'ee is yet to be performed, then one should do ramal in the first three rounds and (if still wearing the sheets of ihraam) the idhibaa in all seven rounds. The time for tawaafe ziyaarat begins at sub'h saadiq on 10th Zul Hijjah and ends at sunset on 12th Zul Hijjah. It is more virtuous to perform it on the 10th Zul Hijjah. Mas'alah: It is waajib to perform tawaafe ziyaarat before sunset of the 12th Zul Hijjah. Delay will result in dam. A women in the state of menstruation will delay her tawaaf until she becomes pure. In this case, there is no dam upon her. NOTE: In our times, it is better for women, old people, etc. to delay the tawaaf until the 11th or 12th Zul Hijjah. However, if you go for tawaaf on the 12th Zul Hijjah, make sure you return to Minaa well before Zuhr; otherwise the traffic flow to Makkah will make it difficult for you to reach Minaa. Mas'alah: Tawaafe ziyaarat may be performed before, after, or in between the ramee, nahr and halaq. However, it is Sunnah to perform it after halaq. Mas'alah: If one performed tawaafe ziyaarat before halaq, nothing from the restrictions of ihraam will be lifted until halaq. Very Important Mas'alah: Tawaafe ziyaarat is fardh, therefore Hajj will remain incomplete without it. A women in the state of menstruation may delay this tawaaf but it will not be waived from her. If she returns home without performing tawaafe ziyaarat, her Hajj will remain incomplete and sexual relationship will remain unlawful until she returns to Makkah and performs tawaafe ziyaarat, irrespective of the time-limit. 2. Offer two raka'at, make du'aa at the Multazam if possible and go to the well of Zamzam and drink to your fill. 4. Now return to Minaa. Mas'alah: It is Sunnah to spend the nights in Minaa. To spend the nights elsewhere is makrooh. NOTE: Many people take this Sunnah act very lightly and do not realize what ruin and loss they bring upon themselves by looking down upon the Sunnah of Rasoolullah sallallahu alayhi wasallam and discarding them. Just for the sake of little comfort, do not waste the spiritual benefits of Hajj. The night spent in the grounds of Minaa is a lot more viruous than a comfortable night in hotels of Makkah. NOTE: The last two days of Hajj are spent with great carelessness by many people. Remain engaged in ibaadah whilst you are in Minaa till the last day and be very cautious as regards to your duty towards Allah ta'aalaa. "O Rasoolullah sallallahu alayhi wasallam, the obligation of Hajj has come to my father at a time now when my father is a very old and weak man. He is unable to remain seated on a camel (or horse). 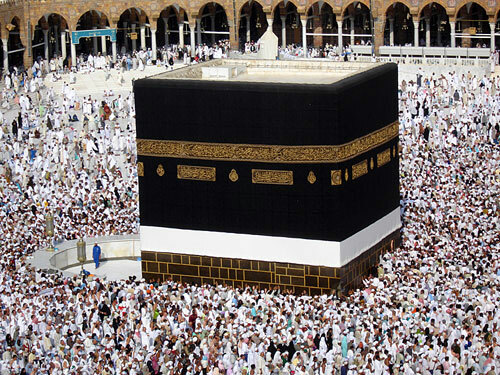 Can I then proceed to perform Hajj on his behalf?" For as long as you remain in Makkah, value every second and engage in tawaaf, Umrah, zikr, and ibadaah, etc. However, do not perform Umrah until after 13th Zul Hijjah. Tawaafe widaa can be performed any time after tawaafe ziyaarat but it is more better to perform it at the very time of departing. 1. When you decide to depart from Makkah Mukarramah, perform tawaafe widaa (farewell tawaaf) which is waajib. 2. Perform two raka'at of tawaaf at Maqaamah Ibraaheem and then go to the well of Zamzam and facing qiblah drink its water in three draughts to your fill. 3. After drinking water, go to Multazam and placing your breast and right cheek against the wall of Ka'bah, cling to the cloth and seek forgiveness in total humility. Shed tears, repent, read durood shareef, praise Allah and make du'aa for as long as possible. 4. After du'aa, make istilaam of Al Hajarul Aswad and depart with a heart filled with sadness, for you do not know whether you will have the privilege of visiting these holy places again. Mas'alah: If one has returned home without performing this tawaaf, then he will be liable to give dam. Mas'alah: If a nafl tawaaf was performed after tawaafe ziyaarat, then this nafl tawaaf will be sufficient in lieu of tawaafe widaa even if no niyyah of tawaafe widaa was made. Mas'alah: Tawaafe widaa is waived from a women who is in the state of haydh (menstruation) or nifaas (period after child birth) because it is not permissible for her to enter the Masjid in this state. Mas'alah: After tawaafe widaa, a pilgrim can enter Al Masjidul Haraam again for Salaat or tawaaf. Qiraan - The pilgrim enters the state of ihraam with the intention of performing both Umrah and Hajj. A single ihraam is adopted for both. 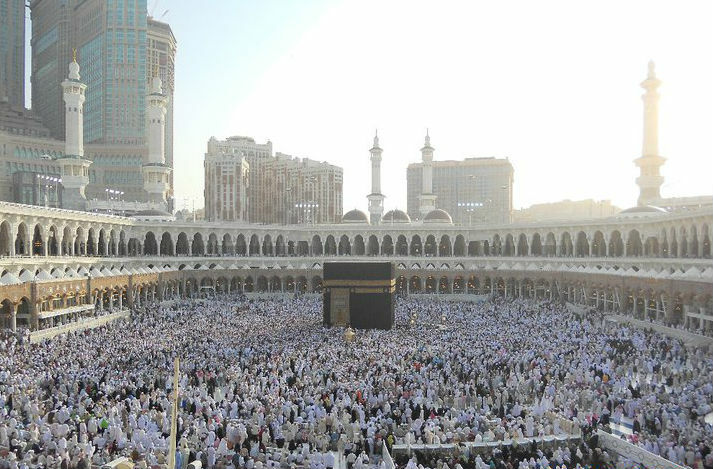 On reaching Makkah, the pilgrim first performs Umrah and thereafter he performs Hajj in the same ihraam; hence he will remain in the same ihraam till the end of Hajj. Tamattu' - The pilgrim enters the state of ihraam with the intention of performing Umrah only. After the completion of Umrah, this ihraam is removed and another ihraam is adopted before 8th Zul Hijjah with the intention of performing Hajj. Ifraad - The pilgrim enters the state of ihraam with the intention of performing Hajj only. He does not combine it with Umrah. 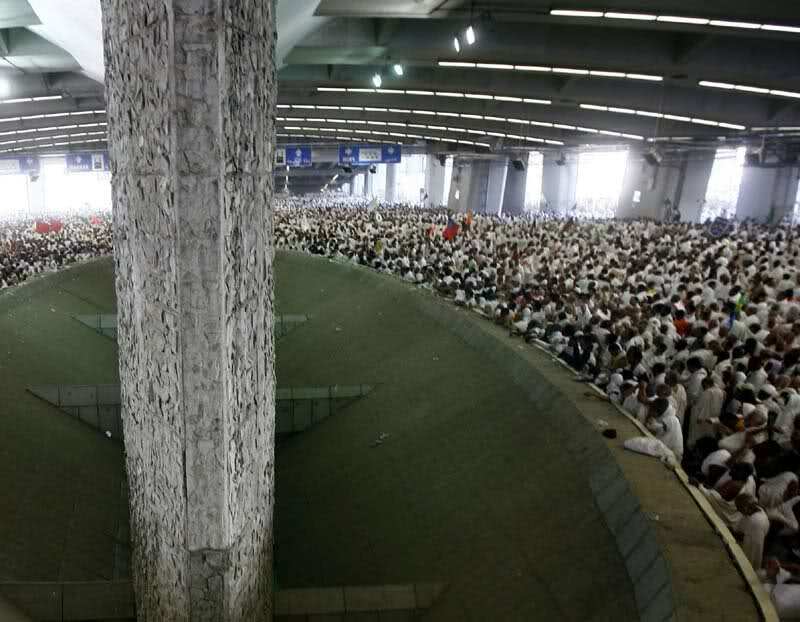 After entering the ihraam, the pilgrim will remain under the restrictions until the end of Hajj. Note: According to Sharee'ah, ihraam is to enter into a state in which certain halaal (lawful) things become prohibited for a person e.g use of perfume, trimming or shaving hair from the body, etc. This is done by wearing two sheets, making niyyah of Hajj/Umrah and reciting talbiyah. (The women will remain in their normal clothing). The two sheets worn by the pilgrim are also called ihraam. Some people think that once these sheets are put on, they cannot be taken off. This is not so. By taking them off, the pilgrim does not come out of the state of ihraam. He will come out of the state of ihraam only when he completes all the essential rites of Hajj/Umrah. 1. You will enter the state of ihraam with the intention of performing Hajj on or before reaching Meekaat. However, make sure you make intention to perform Hajj and not Umrah. 2. On reaching Makkah, make necessary arrangements and go to Al Masjidul Haraam and perform tawaafe qudoom which is Sunnah. Mas'alah: If you are going to perform sa'ee of Hajj after tawaafe qudoom, then peform the tawaaf with idhtibaa in all seven rounds and ramal in the first three rounds. Mas'alah: Sa'ee of Hajj is best after tawaafe ziyaarat for those performing Hajj Ifraad. 3. If you intend to perform sa'ee now, then proceed to Safaa. 4. Now you will remain in Makkah Mukarramah in the state of ihraam. You will not adopt another ihraam for Hajj. 5. 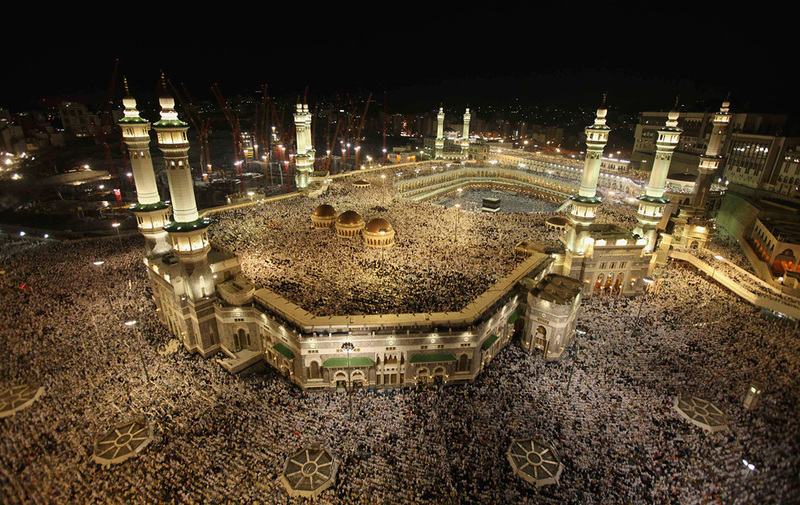 Read 'The Five Days Of Hajj' below. 1. You will enter the state of ihraam with the intention of performing both - Umrah and Hajj on or before reaching Meeqaat. 2. On reaching Makkah, make necessary arrangements and go to Masjidul Haraam and perform Umrah (i.e tawaaf and sa'ee). Mas'alah: Do not shave or trim after sa'ee. 3. After completing sa'ee, perform a second tawaaf. This second tawaaf is tawaafe qudoom which is Sunnah. Mas'alah: If you are going to perform sa'ee of Hajj after this tawaaf, then this tawaaf will be performed with ibhtibaa in all seven rounds and ramal in the first three rounds only. 4. Now perform sa'ee once again. 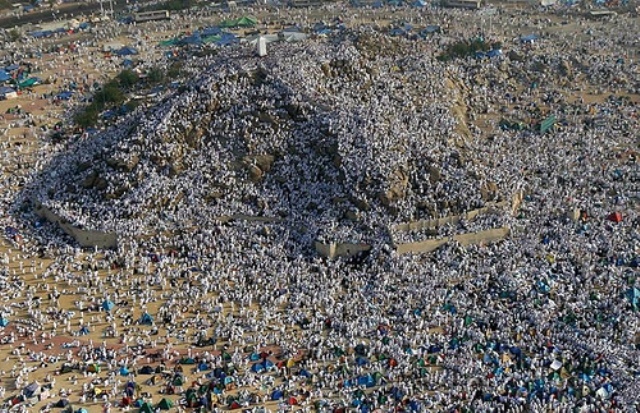 This is the sa'ee for Hajj. Mas'alah: Sa'ee of Hajj can be performed after tawaafe ziyaarat too, but for those performing Hajj Qiraan, it is more preferable and better to perform it after tawaafe qudoom. 5. Now you will remain in Makkah Mukarramah in the state of ihraam. You will not adopt another ihraam for Hajj. 6. Read 'The Five Days Of Hajj' below. 1. You will enter the state of ihraam with the intention of performing Umrah only on or before reaching Meeqaat. 2. On reaching Makkah, make necessary arrangements and go to Al Masjidul Haraam and perform Umrah (i.e tawaaf, sa'ee and halaq/qasr). 3. After halaq (shaving), all restrictions of ihraam will end. You will remain in Makkah Mukarramah without ihraam. 4. Read 'The Five Days Of Hajj' below. If you are performing Hajj Ifraad and Hajj Qiraan, then you are already in ihraam. You do not need to adopt another ihraam. If you are performing Hajj Tamattu', you will need to enter the ihraam with the intention of performing Hajj. 1. On the 8th Zul Hijjah, you will be leaving for Minaa after sunrise; therefore complete all your preparations by the 7th Zul Hijjah. 2. If you are performing Hajj Tamattu', then cleanse yourself, perform ghusl, etc. before the morning of 8th Zul Hijjah and put on the sheets of ihraam. Women do not put on these sheets. 3. Go to Al Masjidul Haraam and perform two raka'at with the intention of ihraam with your head covered, and sitting bareheaded make niyyah (intention) of Hajj and recite talbiyah (labbayk). Your ihraam is complete and you must refrain from certain acts which become impermissible. Mas'alah: If now, you wish to perform the sa'ee of Hajj, which is normally performed after tawaafe ziyaarat, you may do so. However, a sa'ee cannot be performed without tawaaf, hence, you will first perform a nafl tawaaf and then sa'ee. Mas'alah: This nafl tawaaf before sa'ee will be performed with idhtibaa in all seven rounds and ramal in the first three rounds only. Remember the rule - 'Every tawaaf followed by a sa'ee will be performed with idhtibaa and ramal'. Mas'alah: For those performing Hajj Tamatttu', performing sa'ee after tawaafe ziyaarat is more preferable. 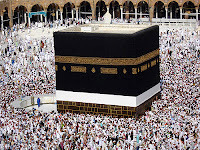 Mas'alah: A person performing Hajj Tamattu' can enter into the state of ihraam for Hajj anytime before 8th Zul Hijjah. NOTE: Many people leave for Minaa at night after 'Eeshaa for convenience or feeling afraid that they may not find suitable place in Minaa. This is not in accordance with the Sunnah and it is also a cause of unnecessary hardship. Therefore leave Makkah after sunrise in the masnoon manner on 8th Zul Hijjah. NOTE: For those performing Hajj with mu'allim/mu'assasah (Europa Establishment), it is advisable to form a group and arrange private transport for the five days of Hajj. By arranging your own transport, you will relieve yourself of many difficulties and travel with great comfort and ease. NOTE: Take as less luggage as possible. A sheet, a sleeping bag, a pair of clothes, soap, tissue, and towel is all you require. Firstly, the sincerity of intention should remain even after the performance of Hajj. There should be no pomp or show. One should not wished to be called or recognized as a Haajji. Many people adopt the habit of talking frequently about their journey in order that people may come to know of their Hajj. This is a deceit from Shaytaan who ruins the ibaadah of the person who is unaware ot it. It is therefore, of great importance that the pilgrim does not talk about his Hajj without necessity, as it may lead to riyaa (show, insincerity). However, if necessity arises and one must talk about his Hajj, then he is at liberty to do so. Secondly, it is noted through experience, that many pilgrims return with nothing but the sad memories to reflect upon, and this darkness filters through their tongues to the extent that they talk only about the hardships they have encountered during Hajj. The pilgrims should strictly refrain from this. On the contrary, they should talk about the greatness of the sacred places, the spiritual gains, the enjoyment in devotions of Haramayn - Umrah, tawaaf, salaam on the Sacred Grave, Salaat in Masjidul Haraam and Masjidun Nabawi, etc. If one looks at his journey of Hajj carefully he will find that the spiritual benefits far outweighs the physical hardships. Every second spent in these sacred places is imcomparable with anything in the world. The journey of Hajj is a long journey; hence, difficulties are certain to arise. When we travel in our country, do we always travel with comfort and ease? Do we never encounter difficulty? 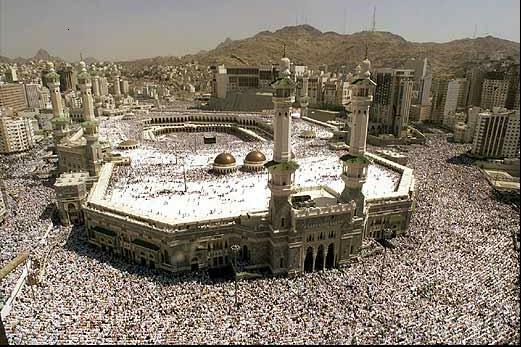 Considering the fact that 2-3 million pilgrims perform the rituals of Hajj at one time, I think the difficulties encountered are insignificant. Moreover, the pilgrims are rewarded abundantly by Allah ta'aalaa upon every difficulty encountered on their journey, whereas the same is not the case whilst we undertake other journeys. Those people who engage in these types of conversation become the cause of discouragement to others who have not yet had the opportunity to perform Hajj. These unfortunate pilgrims fall into the category .... and who stop (men) from the way of Allah, and from the Sacred Masjid, .... mentioned in soorah Hajj in the Qur'aan. They should take heed that if people are discouraged by their conversation and postpone their Hajj, then those who have discouraged them will be equally responsible. Thirdly, the sign of a 'Mabroor Hajj' or 'accepted Hajj' is that upon one's return, his life changes from worst to good. He becomes totally punctual in fulfilling the commands of Allah ta'aalaa. His love and inclination towards the hereafter increases and love for the worldly pleasures decline. Therefore, it is essential that the pilgrim should endeavor to fulfill the obligations laid down by Allah and avoid all the things forbidden by Him. 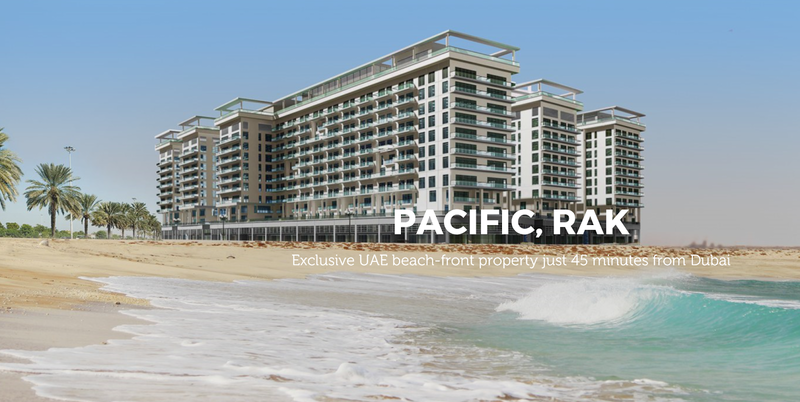 Ras Al Khaimah Is The Next Dubai ! Guiding Stars - توجيه نجوم A Sleepless Man Greatness Under Worn Garments How Are You? 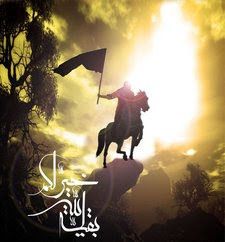 O My Soul, Death Is Inevitable Rejoice With The Knowledge See My Swords And My Arms The Lion Of Allah Nature of the Rulers The Lion's Claws! © Copyright 2011-2017 - All Rights Reserved. 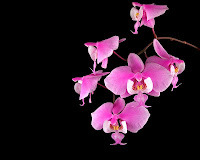 Theme images by Ollustrator. Powered by Blogger.